The top 3 family-friendly Yangtze River cruise ships recommended as below is specially prepared for you who are considering spending a holiday by sailing along the Yangtze River but have no idea about which is the most suitable ship for your family. These highly praised ships provide nice prices, international standard equipment onboard, diverse activities and entertainments for little children, adults and the elders, great cabins with beds wanted by family travellers, and so forth, so you can choose one worth-visiting cruise ship to spend your time with your family members on the Yangtze River! Check the details now! 1. Century Paragon & Century Legend, Best Service for Your Family, only from $456 - $585. Beds for families: onboard Century Paragon and Century Legend, the two single beds in the cabins can be connected together into a king-size bed, which is really suitable for a couple with 1 to 2 kids during the tour. Besides, the sofa in the room can be drawn out as an extra bed. Interconnected rooms: doors in the rooms side by side can be opened if you book 2 or 3 cabins on the same side, thus, you can walk from one room into another to spend more time with your family members together. Family-friendly services: many considerable services for families, such as baby-sitting services, 24-hour room services, special dining services, onboard laundry services, 1:2 ratio services, etc. are well provided to serve traveller guests to enjoy the wonderful time with their family. Entertainment for kids & adults: kids onboard can find a lot of fun in the multiple entertainment places of high standard, like the children’s paradise, KTV room, HD movie center, game center, chess & card room, indoor heated swimming pool, and so forth. And for adult guests, the deluxe Spa center, massage rooms, Wi-Fi & Internet access, library, the bar, etc. will surely create relaxing time for the interests of them. Cultural time: during the days on the Yangtze River, Century Paragon and Century Legend prepare a series of interesting cultural lectures and activities, like Chinese calligraphy, paintings, Yangtze River culture, Taichi playing, culinary lecture, etc. for kids, parents and grandparents to learn more about Chinese culture and history and also have more time together. Check more detail information about Century Paragon and Century Legend! 2. 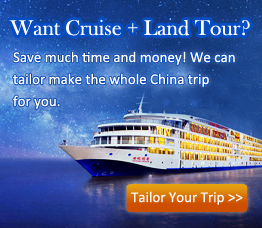 President No.7 & President No.8, Largest Yangtze River Cruises for Family Travellers, only from $386 - $436. Cabins for families with kids: 100 among all the 230 cabins are specially designed to be upgraded into triple rooms for family groups, which let the cruise has the maximum capacity of 580 people at once. Great cultural activities & facilities for kids: interesting activities and high-class facilities are offered to give relaxing time for every child onboard, like the children’s paradise, movie theater, interesting gifts in the shops, swimming pool onboard, kite-flying on the sun deck, etc. Relaxation for adults: adult guests can enjoy private relaxing hours alone as well, the bar, SPA & massage room, reading room, Internet room, mahjong room, private balcony in the cabin, and so forth are ready for you. Check more detail information about President No.7 and President No.8! 3. Yangtze Gold 2, Yangtze Gold 5 & Yangtze Gold 6 Cruises, Fun Makers for You and Your Family, only from $417-$489. Quiet cabins for family travellers: the twin beds in the cabins can connected together into a larger double one, which make it an ideal choice for family travellers. And due to the advanced scientific technology, the sound in the cabins is reduced down to only 40 decibels, so you and your family can have a very sweet sleep onboard the ship and enjoy the sightseeing with good spirits. Fun activities for kids: to let your kids spend great time onboard, the cruise company has prepared interesting activities, like fire-spitting, face changing, lectures of Chinese painting and calligraphy, movie time in the cinema, happy hours in the chess & chard room, etc. Entertainment for adults: various entertainments can be chosen by adult guests onboard to enjoy the holiday, such as singing in the KTV room, watching the night shows, reading in the library, sipping in the bar, spending leisure time in the Internet area, having fun in the billiard parlor, learning the tea ceremony, appreciating the Yangtze River sightseeing, playing Taichi in the morning, etc. Also, you can join the activities together with your children to create more happy time together. Check more detail information about Yangtze Gold 2, Yangtze Gold 5 andYangtze Gold 6! Note: For more detail info of each family-friendly Yangtze River cruise ship, please feel free to contact our professional Travel Consultant!